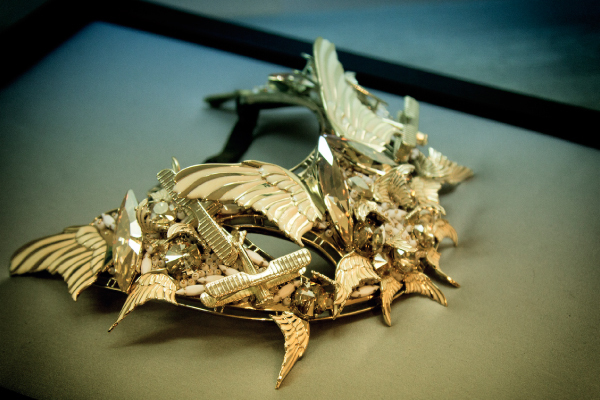 Joyce is in awe of Heaven Tanudiredja’s latest jewellery collection, inspired by flying, dreaming and memory. The Antwerp-based Indonesian designer has received widespread acclaim for his complex, sculptural jewellery. Customers often collect his creations as art pieces, even if they never wear them. For his Spring/Summer 2015 collection, he has proved once again that the sky’s the limit in terms of creativity, quite literally. 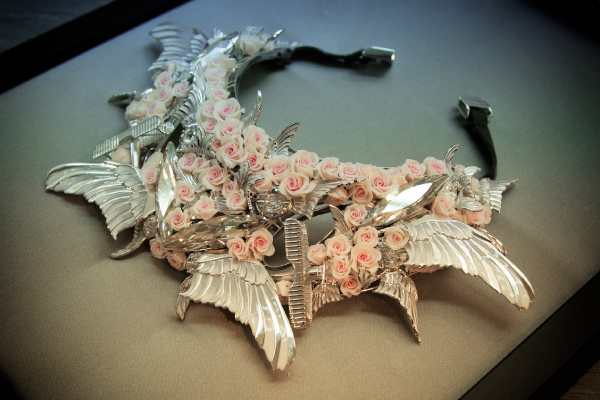 Intricately carved wings and jet engine mechanics are assembled into a complex framework of necklaces and cuffs. But Tanudiredja has more to say. These almost lifelike rose buds are incorporated into the metal structure, adding a romantic dimension to the futuristic design. 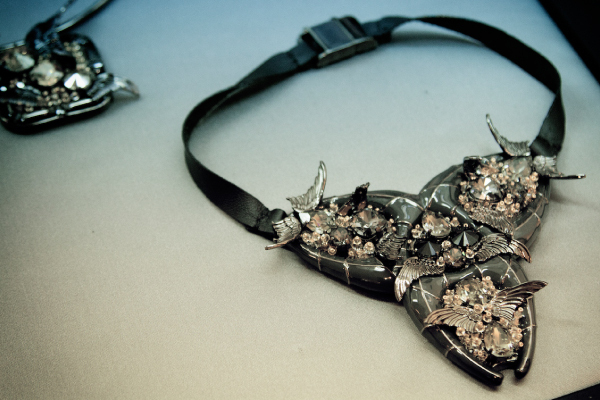 It is a very limited collection as each piece is dependent upon different workshops employing different skill-sets. Only then can the finished product come to fruition. As a memento of a journey and a tribute to flying and the art of travel, it is both an inspiring and impressive collection.